As a business, a dependable and steady source of work can come from government, or government-related organizations. But blindly submitting proposals in response to advertised opportunities can be an exercise in futility. To make the “short-list” you’ll obviously need a great proposal… and a great connection. However, getting it done yourself quickly isn’t always the easiest thing to accomplish. When you’re ready to gain the respect and business prospects you’re striving for, working with an experienced government relations firm can be “the” key factor in your success. 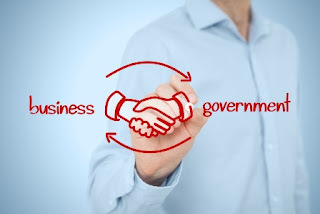 For many businesses, working to establish and maintain connections among government leaders and administrators can take more time and energy than your business can afford. In these cases working with an experienced government relations professional (a lobbyist) can be the easiest and quickest way to position your firm for success. In the greater Pittsburgh area, Cranmer Consultants works to maintain relationships with politicians and other leaders in the region to help our clients stay “ahead of the curve” when it comes to new business opportunities. We also continuously monitor upcoming opportunities so our clients are prepared to respond successfully. In Western Pennsylvania there are no firms that can come close to matching our reputation and record of success. Keeping the Pittsburgh community moving forward and thriving is the ultimate goal of local government; however, it can be difficult to understand how that government functions within. Cranmer Consultants works on your behalf to increase the chances of attaining what your organization needs. We’ll work with you to assess your need and then develop a plan to successfully maneuver through the government to attain your objective. We’ll help in a litany of areas; grants, project procurement, new legislation, planning. Our team stands ready to address your every need. We can also advise you on when and where to expend your political-action funds strategically to support your greatest benefit.